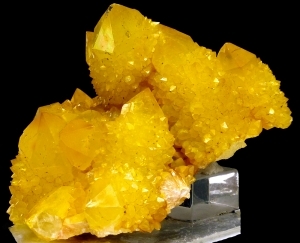 Good, aesthetic cluster of quartz var. 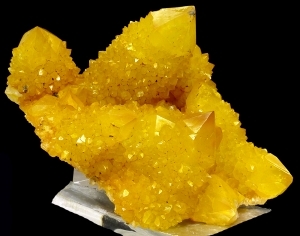 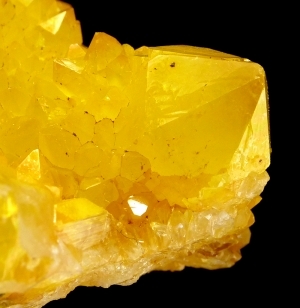 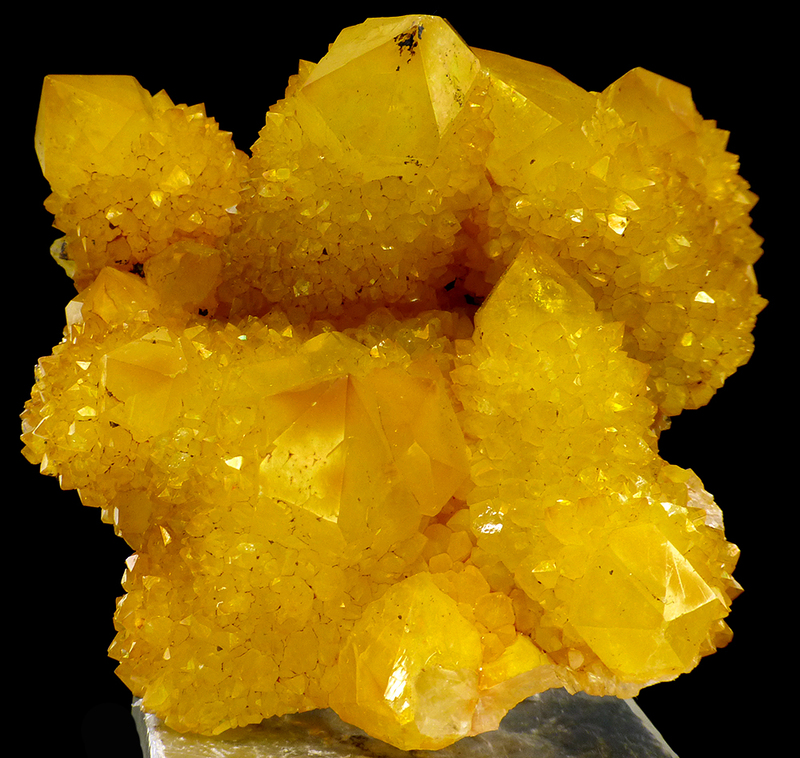 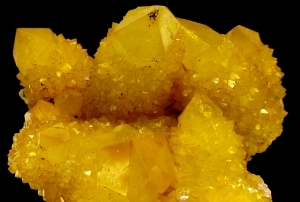 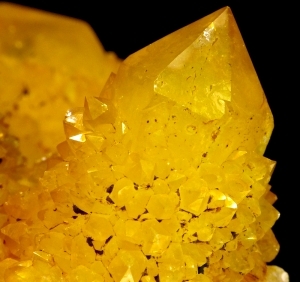 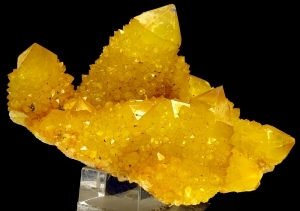 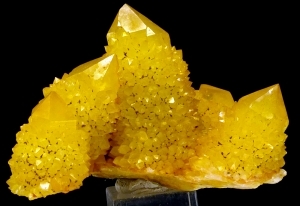 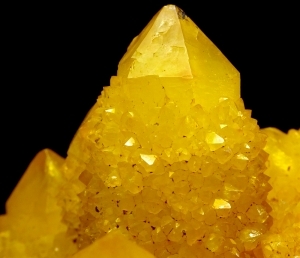 cactus crystals in great, intensive yellow color from South Africa. 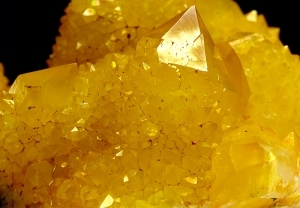 Good luster, great form.